Introducing Baby Animals – an ideal, tactile book for little explorers! 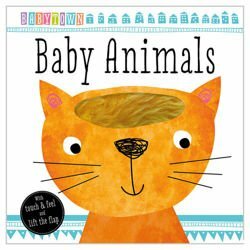 With touches for little hands to feel, this book will engage young imaginations and help to develop early hand-eye coordination! Fun flaps to lift give little ones tiny surprises as they read along with the story! The simple, rhyming text can be read with an adult and will help to develop an early love of reading!